I’m a proud Corkonian. Cork is a county sitting in the south of Ireland in a bog far, far away from that place they call Dublin. We like to think of it as our own little country where the real Irish culture happens. The first thing I learned since moving to Portugal is that Cork is to Dublin as Porto is to Lisboa. 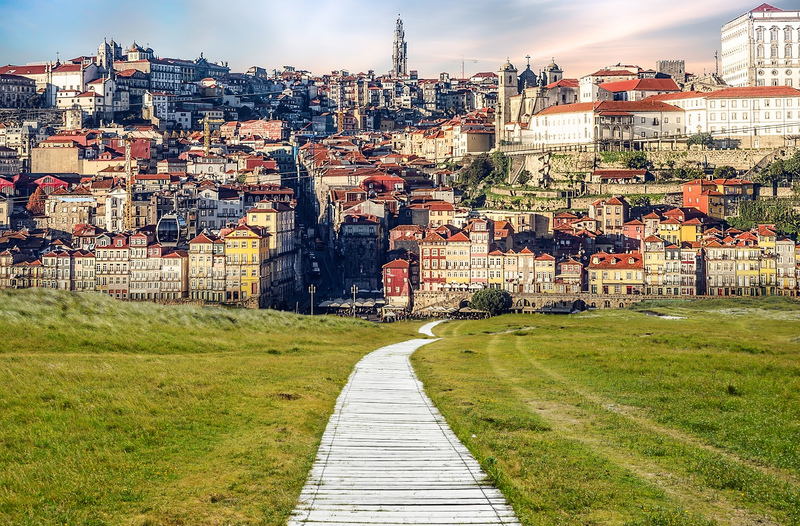 Alongside some architectural similarities and medieval influences, I have found that many Porto natives hold the same inferiority complex as folks from Cork, and they too wear it with pride. The second thing I discovered was on my mission to find a greasy breakfast (every Irish person’s soft spot). It wasn’t too long before I was introduced to morcela (blood sausage) but I soon learned it would never be as good as the Irish black pudding (not that I ever expected it to be). I have Portuguese friends to back me up on this one. Needless to say, now my freezer is packed with the real stuff, so basically, I’m sorted. My education hasn’t stopped there. As an ex-fluent Irish (Gaeilge) speaker now residing in Lisboa, I am slowly but surely learning Portuguese, so I regularly find myself constructing “Portugirish” sentences in my head. Since I moved here eight months ago, I have subconsciously acquired a list of Portuguese and Irish similarities. Some come down to Latin influence and some have no apparent connection, but pull a chuckle out of me anytime I see them. I reckon it is a severe case of “Irishman abroad,” where my sense of national pride sky-rockets and any pessimism about Ireland has been eliminated. Combine this with a tiny drop of longing for the Irish coastline and the glorious three-day summers, and I’ve got a mind clouded with a green fog, searching for the right words. Doesn’t everyone have that friend that they want to slap in the face? Well, now you have a word for both! A chara is a common way to address someone in a letter both Irish and Portuguese (cara). Most Irish can’t draw the distinction between a friend and their face until they look to see where their fist lands. Until the age of 12, I attended a Gaelscoil (Gaeilge-speaking school). Here in Lisbon, when I pass roadwork every morning, I see the word obras on the signs warning drivers and pedestrians of construction ahead. This word strikes a momentary bout of fear in me as I try to remember if I have finished my obair baile (homework) for school the next day. When said after a feed of Guinness, they actually begin to sound familiar! Why not try it for yourself this Paddy’s day? Plámás is a word usually used for a messer (English: someone who is always up to no good) but it can also be used for a smooth-talker… It’s hard to pin down what a plámásar is really until you find one in action. My recommendation? Get yourself to your nearest Irish pub and keep your eyes peeled. We really miss out in the English language on the ability to add an excited and elongated “eeeen” sound to the end of a word to emphasise its smallness and cuteness, like the use of “ín” in Gaelic and the use of “inho” here. We’re right there with you, Portugal!